"But it was like, if I want to do it at a better level, I have to change something." 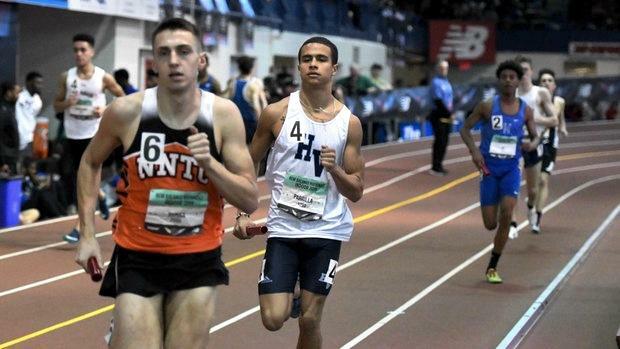 When Miguel Parrilla stepped to the line in the second heat of the boys 800 meter championship at New Balance Nationals Indoor on Sunday at The Armory, he knew he had a chance to make a statement. As the son of an Olympian at 800 meters, Parrilla -- as well as his older brother -- had often been compared to his father, Jose, who made US Olympic teams in '92 and '96. But Miguel had always wanted to find this sport on his own terms. And in truth, it wasn't until a few years earlier when he truly and completely bought into the world of mid-distance running. "For me, it's just been changing, trying to live the life of someone who would run a 1:50 or a sub-1:50," he said. So Sunday marked a big moment for the Hardin Valley Academy senior. Weeks earlier, he had earned his place among the contingent of aspiring All-Americans, running to an all-time personal best and US No. 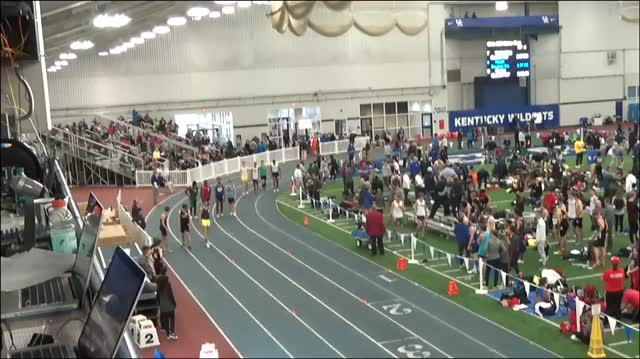 10 time of 1:53.41 at the University of Kentucky High School Invitational. Then, as it sometimes it tends to happen in track and field, nothing went to plan. "I really wanted to focus on pushing myself outside my comfort zone," Parilla said of his championship race in New York. "And on that first lap I thought I would be aggressive from the start so I wouldn't be boxed in. But from the get-go, I wasn't aggressive enough and then I tried to make a move. I spent the first two laps running in Lane 2 and nothing really opened up for me." Running for the first time on a banked track, Parrilla finished in 2:01.31, without the notable kick that had led him to that big win at UK. After opening in 56.83 seconds, he closed his last 200 meters in 34 seconds. "I definitely wanted to get down to 1:50," he said. "I felt like that's where I should have been around." While Parrilla didn't run to a season PR in the open 800m at nationals, there was, at the very least, some saving grace from his experience at the meet. 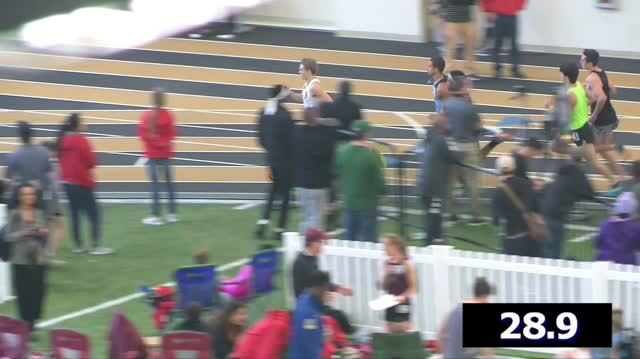 Earlier, he had anchored his team's SMR in 1:57 -- the team was later DQ'ed -- and then went 51.3 to lead-off his team in the Emerging Elite 4x400. Beyond the indoor finale, there was a lot more to take away from the season, too. 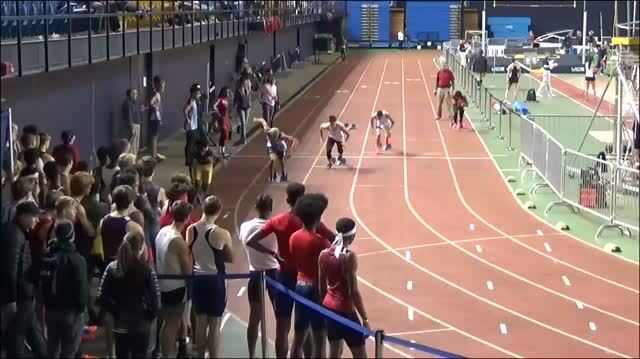 Parrilla had shown glimpses of his talent and ability all season, splitting 48 seconds on his team's open leg of the 4x400 relay at the Tennessee Indoor State Championships. 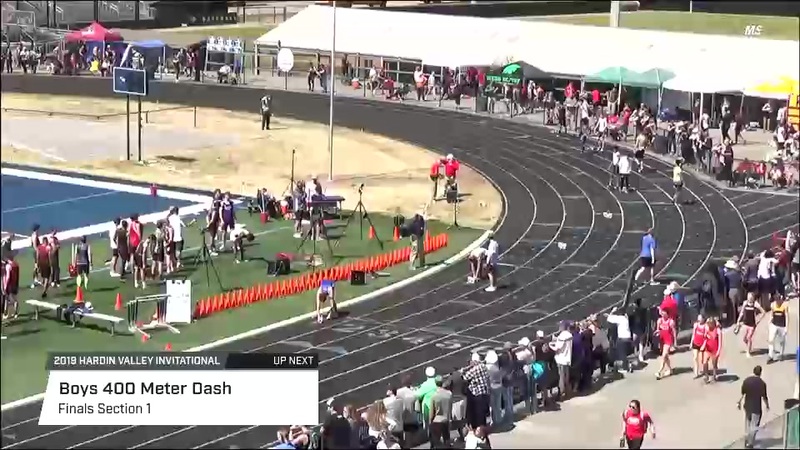 He had also scored an open 400m PR of 50.72 seconds. 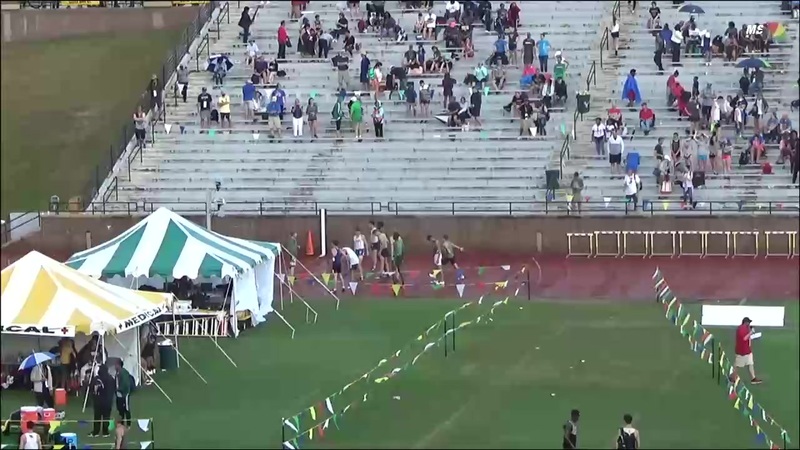 There was that 1:53.41 at UK (below). Part of his emergence stemmed from his desire to improve. "I went my entire sophomore year without PR'ing and that just hurt mentally man," Parrilla said. "It's a sport I love and I've given a lot of my time and energy to. And, I never thought about not doing it. But it was like, if I want to do it at a better level, I have to change something." Changes to his diet, sleep patterns and training defined his junior season, with the the latter variable focusing more on sprint training. 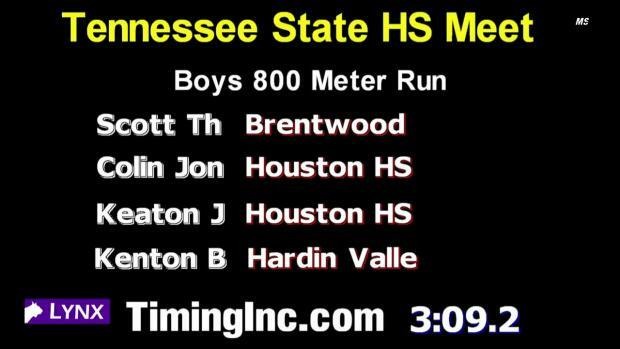 He PR'ed indoors by 12 seconds in the 800m from his sophomore to junior seasons, then followed with a 5-second best outdoors. He attributes much of that development to an important shift. "I went to my coach and I was like, 'Coach, I just want to run the 400,'" Parrilla said. "So, I went through a whole five weeks of sprint training." His favorite workouts centered around 300 meter intervals. "I got to really got to focus on diving into the turn and coming out strong," he said. As a senior, Parrilla believes the best is still to come. He hopes to run career PRs in the 400m, 800m and mile, which could stoke some interest from a few preferred collegiate programs -- Middle Tennessee State, for instance, is a favorite of the teenager. Miguel's father, a three-time NCAA winner at 800 meters, ran for the University of Tennessee. And his older brother, Jose, also found himself with the Volunteers after stints at a junior college. Perhaps that could be a place where Miguel could ultimately land, or he could forge an entirely new path. Following his final race at New Balance Nationals Indoor, he also mentioned one more desire: To get back in the ring for one last high school race indoors on a banked track. "I definitely want to, if I can, to get a race in Birmingham, just to get another shot at it," he said. At the very least, he would have an opportunity to make one last statement.